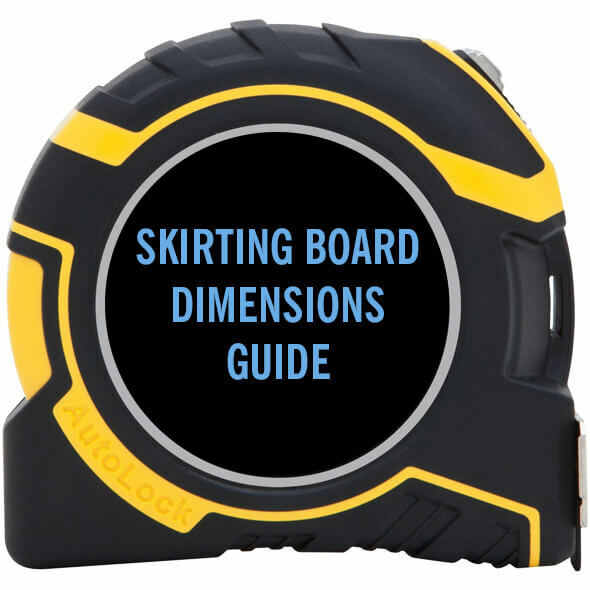 Buying skirting board can get complicated, especially when trying to communicate and visualise each dimension of the board. To help, we have put together a guide to ease the process. All skirting boards have three dimensions which will need to be specified; length, depth and height. We also provide the size of the shaped part of the board - the ‘profile height’ - on each of our mouldings. 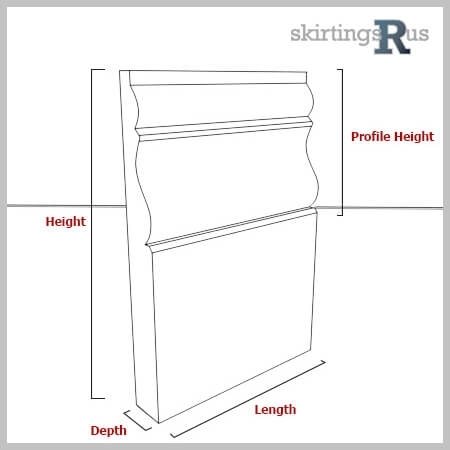 If you are trying to match up one of our designs to a skirting board you currently have, then knowing the height of the shaped moulding will help you to judge whether our profile will match yours. Length: this is how far or how long the skirting board will be running along your wall. Height: this is how high the skirting will come up your wall and is measured from the floor to the top of the board. Depth: this is how thick the board will be and is measured from the wall outwards. Profile height: this is how high the profile is on the board. This is measured from the top of the skirting board to the bottom of the shaped moulding.